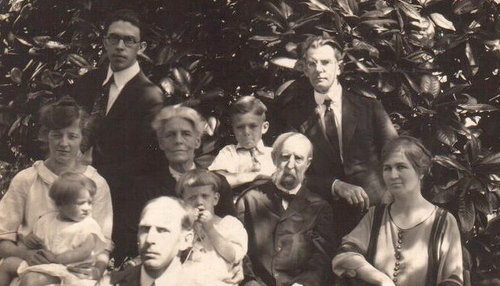 Awesome Image of Gladys Sharp and Ives Family, Very Interesting Article Here some Brief histories of where they lived and travel tips for the locations are offered. General genealogy issues are discussed. Enjoyed the video on the Family Search pilot site. I will start working on it toomrrow. Your Treasure Maps newsletter is very interesting and I have been reading it for a few months now. I am 80 years old and have been doing genealogy for two years now, and I love it. I have found out so much about my family, but my siblings are not impressed. Nevertheless, it gives me something to do that makes my life really satisfying.By the way, I have now indexed 6000 records for Family Search, because I feel that I need to pay back for all the free information that they and others provide to us hobbyists. Good health to you and your family. u can try tetracycline or dlcyxycoine but it will be better u ask for the doc to prescribe for u whether which type of antibiotics suit u the most..i tht u shld try going for a acne facial which u may want to take a look at 88db in sp0re ..i thht u nd facai to help to clear ur face and squeeze the pimples and reduce the scar .. Most genealogy srwaftoe, including Legacy, has a free download version. Before purchasing any of them for your boyfriend, I'd strongly suggest you try them out. Even if you're not interested in genealogy, you should be able to tell whether it is too simple or overly-complex, whether it does searches, etc. Most, I believe, will not allow searches of commercial databases. Most databases of genealogical information are not free. The big exception is the IGI, which can be extremely useful and extremely frustrating. Some of the data on it comes from formal sources but much is user-generated and prone to horrible errors. The best on-line site to access the genealogical sources is Ancestry.com. Some dislike it, and the user-generated content is of debatable value, but it has the broadest range of data available. It is an invaluable tool for anyone serious about genealogy. You do not say where your boyfriend's family comes from but it comes in US/Canada/UK or Worldwide editions. Good luck.